Participating in the Deja Vu Blogfest today and wanted to share a story I posted before, right after my father's passing. Hope you enjoy it... Click on the link above if you'd like to visit the other blogs participating! In the still of a summer night, the sweat drained off Ida’s body soaking her dress and barely cooling her skin. She reached for her glass of lemonade which felt slippery with condensation as she took another drink from it. It tasted sweet and sour on her tongue. The mix perfectly sated her thirst but her body still melted in the heat. The mosquitoes seemed to hate the heat, too, otherwise they'd be chasin' her off the porch. And where was her husband? Lawrence had gone off to help a man with a dead horse but that had been hours ago and he should have been back by now. Exceptin’ of course, if the farmer offered him a drink to cool his thirst, too. Then Lawrence would have felt obligated to sit and jaw a spell on the front porch where it was always cooler even on a midsummer day. Farmer Clements had called at their house the day before with Sheriff Thomas, and told a story of a missing horse. The missing horse had turned up dead on another man’s land and so Mr. Clements wanted Lawrence to take the case. 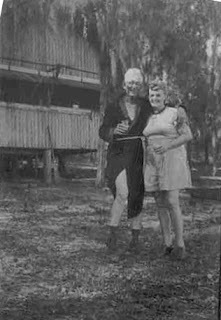 Mr. Clements wanted compensation, and knowing her husband the way she did, Ida was pretty sure Mr. Clements would get his compensation. It was going on eight. Supper was already cold. Only a fool would eat a hot meal on a summer’s day as blistering as this one had been. Even now, with the sun dropping behind the clouds and trees, the heat sweltered, stuck in her throat every time she took a breath. Where was that man? Didn’t he realize they had work in the mornin’ and being late to bed would make it that much more difficult to get up? She heard the purring, popping sound of the motor car and sat up. Sure enough, around the bend in the drive came their little car with Lawrence at the wheel. He’d had to have one of the new contraptions and she had to admit it did make these kinds of business visits not take so long, more or less anyway. She stood and greeted him as he climbed the steps to the porch. “Took your time,” she said by way of greeting. “Good, cause I’m hungry. You?” Lawrence looked at her and smiled his slow southern smile. “Let’s get to it.” He held the screen door open for her. The main door was already open with the idea of giving any wayward breeze a chance to wander the house and perhaps cool it a bit. They sat at the table and ate in relative silence, knives clinking against plates as they cut their cold ham. “And what is your idea of compensation this time?” she asked, tilting her head to smile at him, knowing he loved to talk about a satisfied customer. Ida laughed. Lawrence’s humor was so dry sometimes and she loved it when he shared it with her. Lawrence nodded. “You finished?” He glanced at her empty plate. Lawrence nodded and followed her out to the porch. 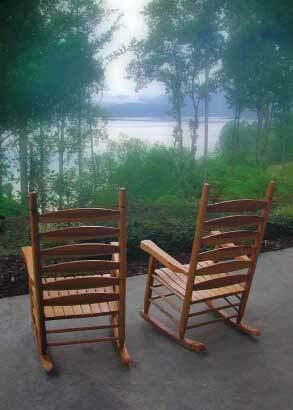 They sat together in the rockers and gently moved back and forth in rhythm with each other. The night was still. Even the animals were quiet, too hot to hunt or chase anything down. “Only the snakes will be happy tonight,” Lawrence said. “Guess that’s about right, till we get to bed, that is.” Ida took his hand and they rocked in unison on the porch until Robert pushed the screen door open and bade them a good night. 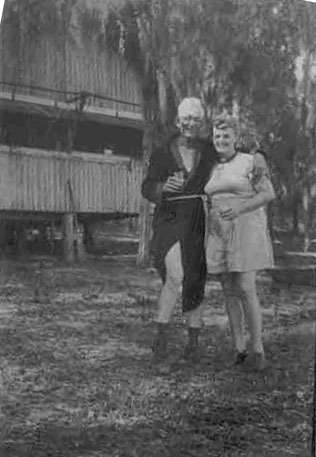 “See you in the mornin’ Robert,” Ida said. “Good lord willin’,” Robert replied. He took the steps down and into the night and the darkness swallowed him up. “Guess that’s about right,” she said. He opened the screen door for her again and they went inside. The lights went off, the bedroom’s last, and the darkness of the still summer night became complete. Inspired by a story told to be by Mr. Will Clements, who knew my grandfather (I didn't). My grandfather was "Lawrence." I have this strange sensation I already left a comment and read this story before. Lawrence was quite the man. You also make me have the urge to eat ice cream in the middle of a snowstorm. Thank you for this captivating story, Lisa. Thank you for taking part in Deja Vu today. Very nice story -- it was touching! What a lovely story. The slow pace perfectly reinforces the feeling of heat and summer. And I particularly like the affection and care and love that comes through between the couple. You get the feeling they wouldn't ever say the words, but they wouldn't need to. I love this. I cried, of course. So glad you chose to post this one in the Deja Vu. A nostalgic story. Very sweet. Loved the setting. Fabulous story! You described the setting so well. I could feel the sweltering heat, hear the stillness of the evening. I love the relationship that the couple has: so sweet and so genuine. The photo is a nice bonus! Really nice, all of it. Hope you are enjoying the Deja Vu blogfest as much as I am. I enjoyed the story. Wishing you a very Merry Christmas and a happy prosperous New Year! Loved this! The voice is lovely and so mesmerizing. I reached the end and wanted more--more! Thanks for sharing this, Liza. It's wonderful. That's a good story. I love the strength of the characters voices.